Why Santa Cruz, CA? It’s better to ask why not. Santa Cruz has the Pacific Ocean in the front yard and mountains in the back yard, making for an epic cycling destination. There are the usual places that go with the phrase “cycling vacation destination.” Italy and France come readily to mind. But you don’t have to go as far as Europe to find world class roads that make a plane trip worthwhile. Santa Cruz, CA, a longtime stop on the Amgen Tour of California, has the routes, the food, and the culture to create first class pedaling memories. 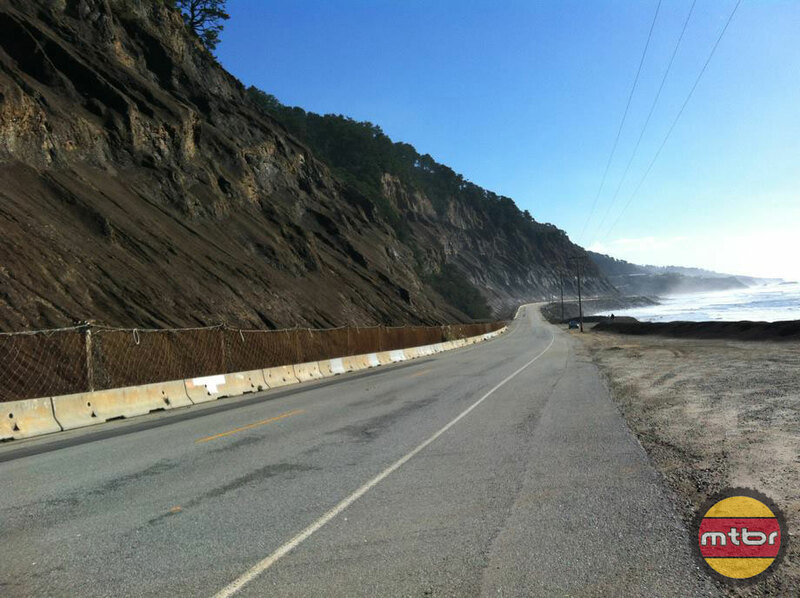 The roads in Santa Cruz are a climber’s paradise, and for good reason. With the south side of town facing the Monterey Bay and the north side facing the Santa Cruz Mountains, you can easily go from sea level to Redwood country and back again several times in one ride. Expect to find windy, steep switchbacks paired with majestic redwoods and ample wildlife (it’s not uncommon to encounter mountain lions on your journey). Hidden microclimates make it necessary to be prepared with a vest and a good baselayer regardless of the season. The pavement can be a bit bumpy and the roads narrow, so be careful on descents. Traffic is generally light, but blind corners make caution a necessity. All of the best roads occur between Highway 1 by the coast, and Summit Rd/Skyline Drive at the top of the mountain ridge. Iconic local roads such as Bonny Doon (one of those Amgen TOC routes), Zayante, Empire Grade, and Eureka Canyon are just a few of the available options. Highway 9/Route 236 will take you straight into Big Basin State Park, where the visitor’s center is a great place to stock up on supplies while taking a souvenir photo of your bike next to some of the oldest trees in the country. For a ripping descent, Bear Creek Road will be your best bet for perfectly banked turns paired with smooth pavement. Insider’s Tip: 25 – 28c tires do best in Santa Cruz, with a slightly lower tire pressure than you are regularly used to. 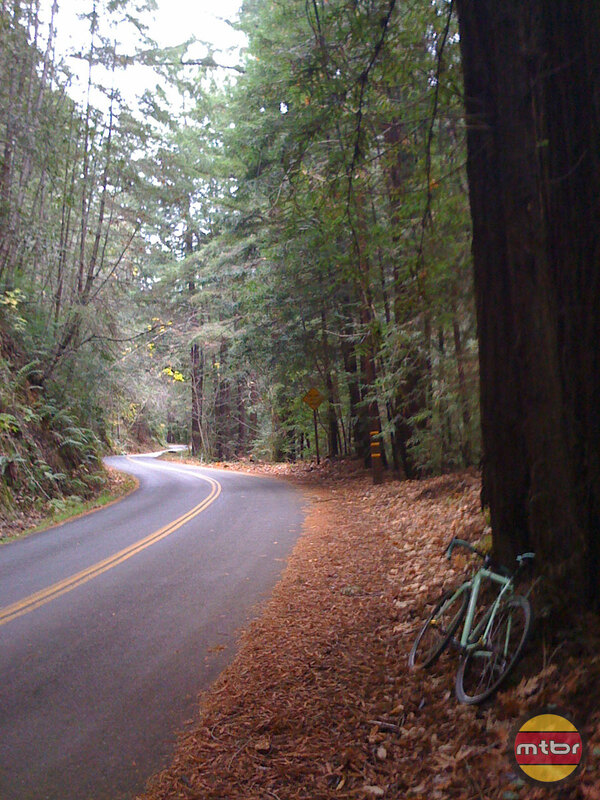 Left: The gorgeous redwoods and switchbacks of the Santa Cruz Mountain roads are well worth a bike portrait stop. 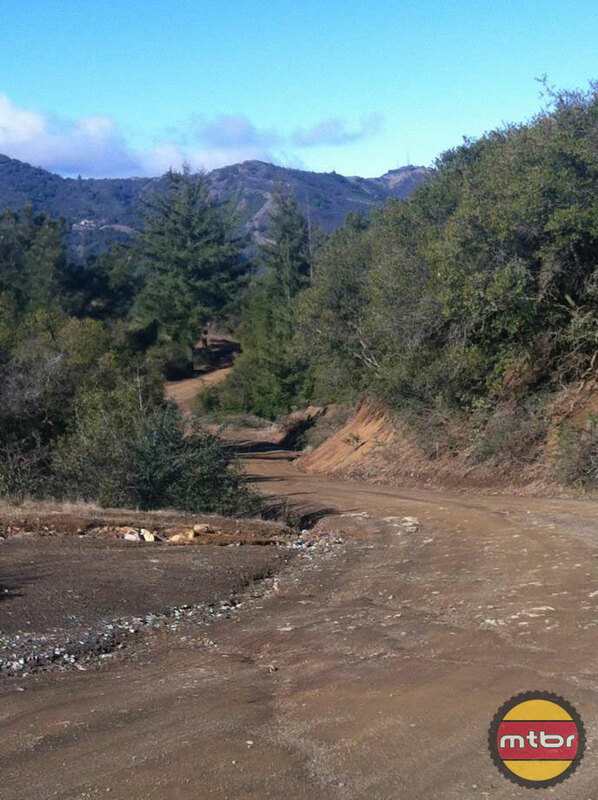 Right: Dirt and fire roads are not to be missed to get the full experience of Santa Cruz, CA. 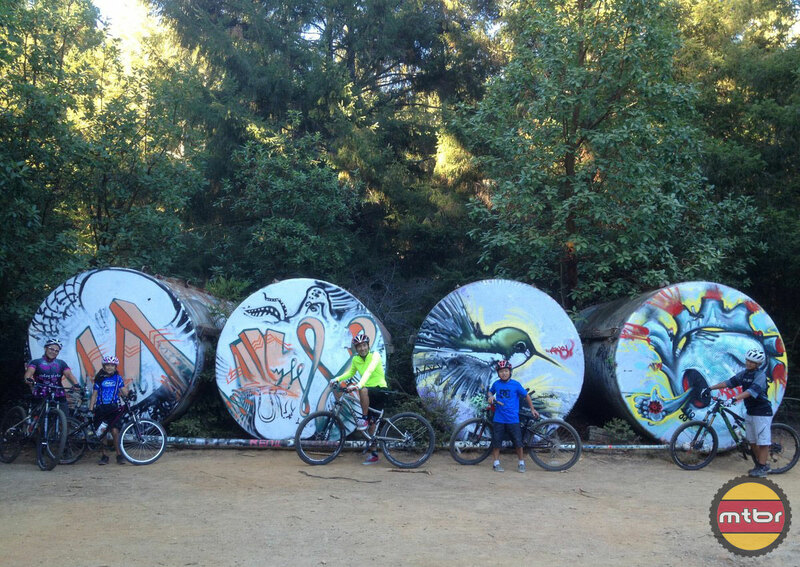 The Santa Cruz Mountains boast an amazingly healthy trail system. For roadies, this means tons of amazing fireroads on which to get rad. Surfaces vary from chunky gravel to silky smooth dirt, and are a great challenge to tackle on your road rig. All roads can be handled on 25s, but 28s are optimal if you want to check out this option. Even mountain bikers will have a different experience when riding uneven terrain on skinnies, and these roads rarely see much traffic, so you can relax for a while without worrying about cars. 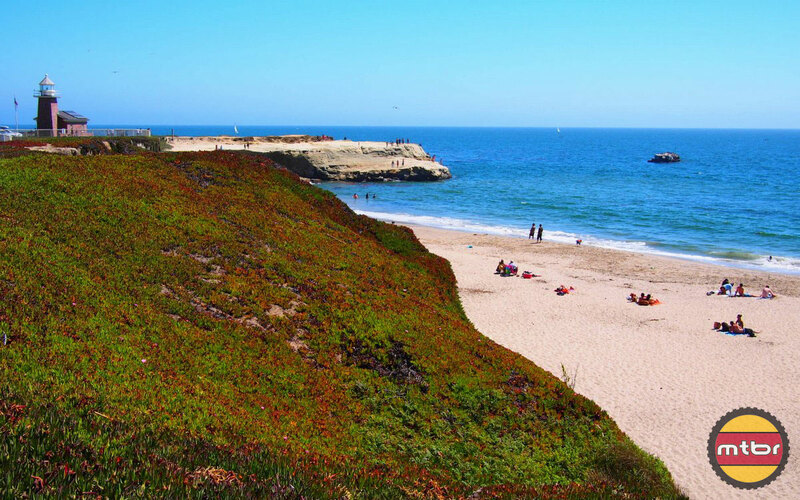 And the iconic blend of Santa Cruz is redwood trees and white sand beaches. These two elements are virtually adjacent to each other. These roads can be found running mainly east to west, connecting several of the paved climbs together. This also makes them a great option for connecting two otherwise separate routes. If you’re looking for a mellow up and back for your first gravel grinding adventure, check out the Nicene Park Fire Road. 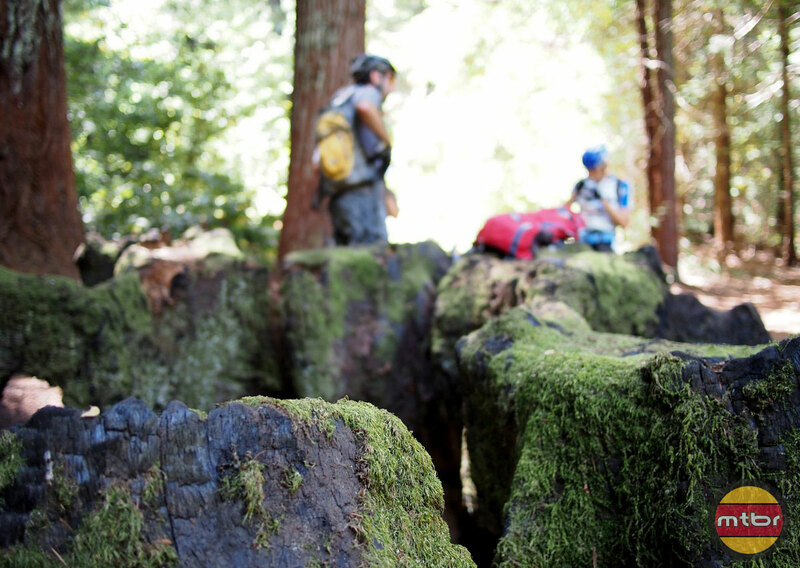 If you’re a bit more experienced, Butano Fire Road and Gazos Creek are great options, and are both easily accessible from the paved China Grade road via Big Basin State Park. Insider’s Tip: If you normally ride with 1 tube and CO2, make sure you head out with 2 tubes and a mini pump for the rougher surfaces you’ll encounter. Verve Coffee Roasters boast some of the best latte art around. 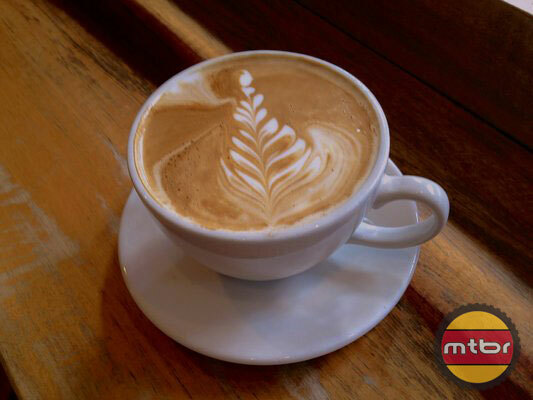 If you’re heading out early, the only way to start is with a latte from Verve Coffee Roasters. 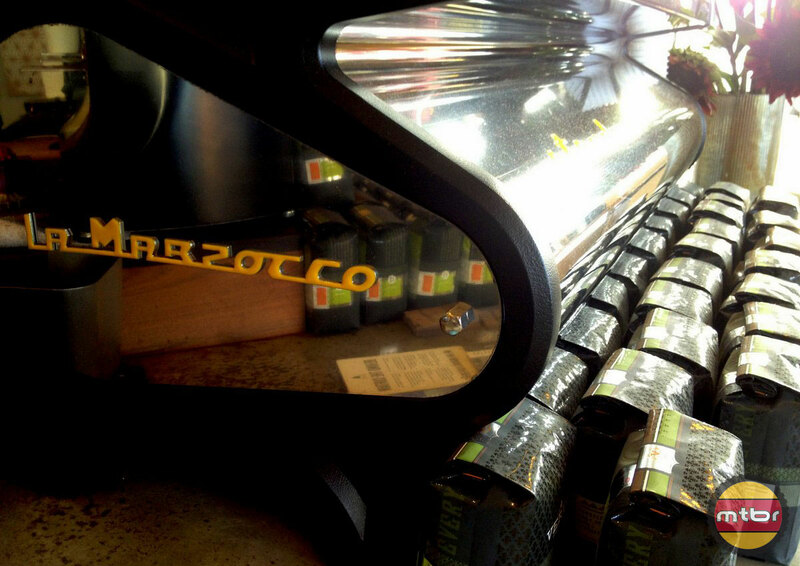 Locally based in Santa Cruz, all beans are roasted in their Seabright location, and the baristas regularly compete in competitions to hone their skills. Pair it with a locally baked pastry to get some epic in before ever swinging your leg over the top tube. Need something a bit more substantial? Head over to the Harbor Café for a brunch even locals wait in line for. Your non cycling companions can partake in one of their famous Mimosas while you chow down on the best pancakes you’ve ever had. Insider’s Tip: Grab a Gluten Free PB&J loaf from Verve and stuff it in your jersey for a great mid ride snack. 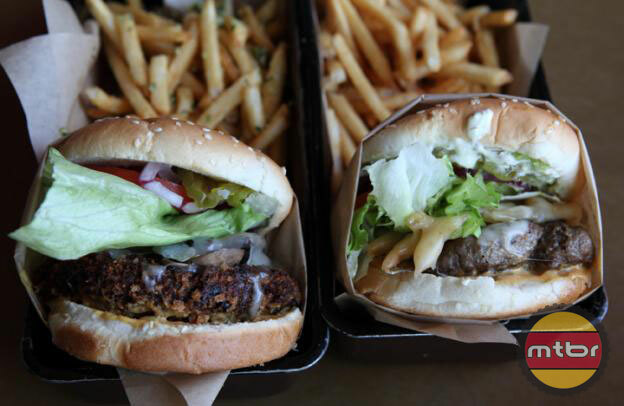 Once you’re done pedaling, head over to Burger to chow down on a recovery meal for the record books. Using sustainable, local ingredient, Burger has leg replenishing creations such as the Phatty: a bacon cheeseburger between two grilled cheese sandwiches. Not in the mood for beef? Burger also features delectable pizzas, salads, and sandwiches. Order some sweet potato fries and a beer from one of their 49 on tap and 54 bottled choices for a complete post ride feast. Insider’s Tip: Bike racks are everywhere in Santa Cruz, so pedaling to and from dinner is a great option to shake out the legs before heading to bed. Hungry post ride? Look no further than Burger for an amazingly epic recovery meal. Be sure to save one day for off bike activities to recharge your mind and your legs. Well Within Hot Tubs and Spa is a fantastic choice to take a soak and let the muscles get some TLC without breaking the bank. Want a more natural option? Head over to any one of several state beaches and let the chilly waves of the Pacific Ocean cool off your calves. If you’re feeling spry, the boardwalk has a variety of rides and games to keep you entertained, as well as The Giant Dipper, one of the oldest wooden roller coasters in the United States that still leaves people screaming as much today as when it opened in 1924. 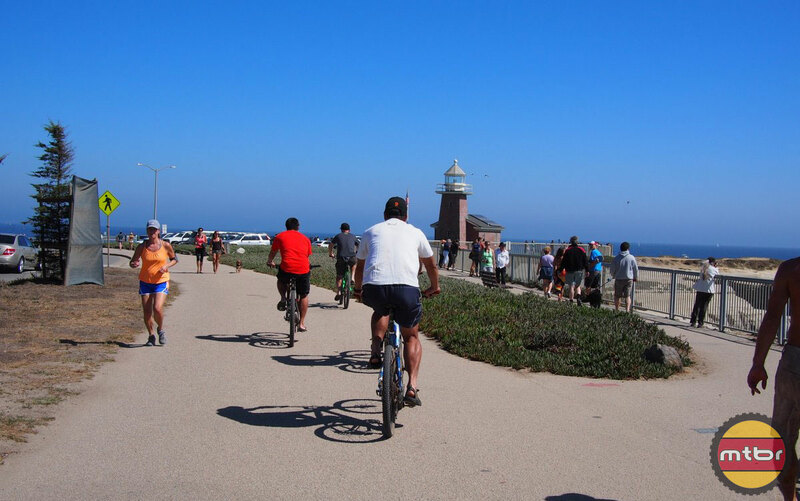 Insider’s Tip: Walking to the boardwalk from Seabright or from downtown is easy with multiple bike paths leading to one of several entrances. There is a bike path along the beach that extends for many miles. This is a great way to access the beach, view the surfers or just get some fresh air. Santa Cruz has riding worth visiting, but that’s not the only attraction for a bike obsessed individual. The culture is deep here, with Ibis, Santa Cruz, Easton Bell Sports, Giro, and Fox Racing Shox all setting up digs within the county limits. In addition to the larger companies, Santa Cruz is also home to handmade builders Calfee Design, Rock Lobster Cycles, Caletti Cycles, Black Cat Cycles, and Hunter Cycles. If you’ve ever thought of going custom, this would be a great excuse to check out the area and get a fitting at the same time. I just returned from a trip north of here (San Fran to Mendocino Co.). Wanted to hit SC but opted to head north. Was hoping this article would make me regret my decision with some preview of tasty singletrack, but it has not. Greasy cheeseburgers aren’t doing it for me. Fair ’nuff. Plenty of squirrels on the SC singletrack already. Was this for roadbikereview.com and somehow accidentally got posted here? I guess I’m lucky I know that there is great mountain biking in SC also, otherwise this article would make me think I might skip a trip to the area. The author is more a roadie, gravel rider. 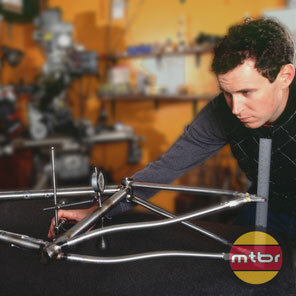 We’ll add more mtb content. 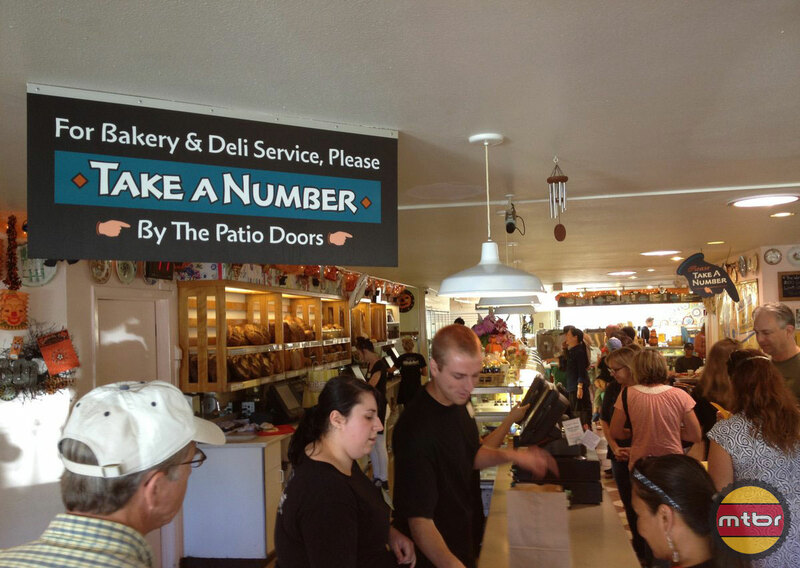 The roadies go to Zayante Road and Gayle’s Deli. The mountain bikers go to Demo, Burrito and beer. Both end up at the beach. was this posted to the wrong site? Santa Cruz has some of the best riding anywhere, whether it is road or mountain. My mom lives in Boulder Creek which is just north of SC and highway 9 is a great tree lined ride that was used by the TOC and went by my mom’s house. As for pre and post ride meals they start and finish a Linda’s Seabright Café on Seabright. If you want something lighter try La Palmas Tacos on front street, they are cheap and delicious. It’s ‘Cross season ya goofs…..
That was a little disappointing to have ZERO mtb content. I’m heading to SC next week and I though what great timing to have a SC specific article. Oh well at least there are some food/beverage recommendations. OK. Here’s the scoop on local mountain bike rides. There are two primary locataions: UCSC – Wilder and Nicene Marks – Demo (Demonstration Forest). Wilder State Park is straight forward, trails are marked, there’s roughly 50/50 single track and fire roads, makes for nice fire road up and single track down. UCSC is an adventure. There are tons of trails through the Redwoods hard to describe, nothing marked. Best recommendation is to get lost and have fun. Nice loop is to ride north (west) out of SC into and up Wilder, cross Empire into UCSC, duck into the woods but avoid the steep descents down to Hwy 9, just work the ridge and you’ll find your way back to town. Niscene – Demo: Most people drive up to Highland and take the road to the top (Rosalia) then do laps in Demo. For a big ride take the fire road in Niscene Marks up from Aptos, 11.5 miles, 2,000′ of climbing then go do a lap or two in Demo. There are other trails, off course, many unmarked. Ask fellow bikers when you’re there. Mountain lions are really a common site here? I guess if you assume 1 in 100000 riders seeing one is common..Don’t add crap to make articles to more alluring.. I live here and the riding speaks for itself. ….and leaving a 3-6 k bike chained anywhere (especially Santa cruz is a terrible idea..I hear mountain lions steal them. Yeah, much more likely to see Deer or even possibly Turkeys and a variety of raptors … lions, not so much. Was really hoping for more focus on the trails aspect rather than on food. Dont come here to ride. Lots of cars on the roads, every trail is illegal and has a ranger at the top and bottom. The dirt is terrible, its not the way you like it. Please, Please go to _______ instead. Thank You…. It is true about the Harbor Cafe, its that good, but skip the sissy Mimosa and get the Bloody or the Greyhound with the Kettle upgrade plus a Fritatta with Bacon. Yep, the trails are at capacity and most are illegal. Sorry, but tickets over $250 at the bottom of Hwy 9 don’t enhance the fun. Regarding Burger, make sure you order your burgers rare or medium-rare. If you don’t, the things are seriously overcooked and taste like sh1t. 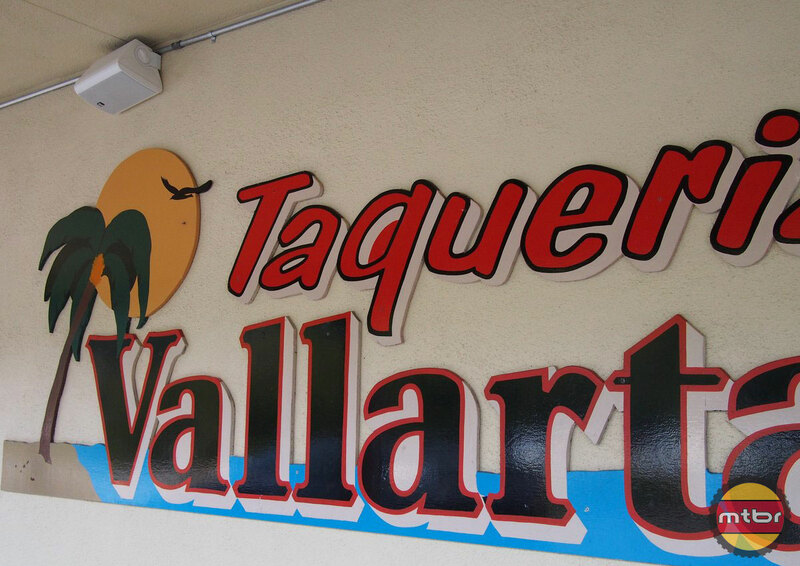 Taqueria Vallarta is not the best burrito you’ve ever had, or even the best in SC. Santa Cruz, CA 95062 > Skip the burrito and get a “Carne en su jugo”, basically steak, bacon, avocado, beans, onions, cilantro – soup. It will blow your mind. Santa Cruz, CA 95060 > on par with most of the places, it’s convenient because it is literally the first taco place when heading back into town on Hwy 1 from Wilder Ranch. The salsa is hot, and they make one that is not for gringos that is even hotter. Get the California burrito with French fries in it. Very close proximity to many wineries. 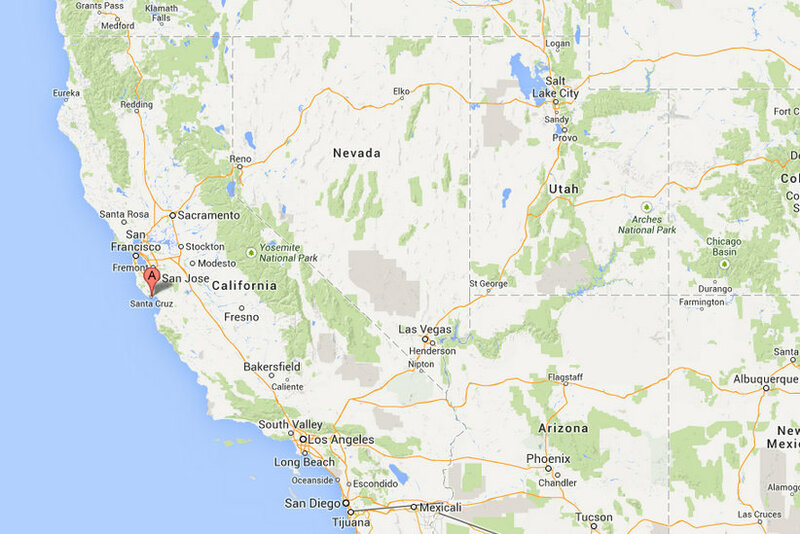 Santa Cruz, CA 95060 > Mon – Thur nights you can get happy hour tacos and burritos and beer and Margaritas super cheap. The meat is actual steak and not hamburger like some other restaurant’s happy-hour tacos.’Nuff said. Santa Cruz, CA 95062 > Literally a line out the door every time I go here. The salsa is top-notch. This burrito will make you re-think your life. As far as riding goes; unless you have a local tour guide, I would stick to the legal Mtb trails in Wilder, Nisene Marks, and Soquel Demo. If you have a tour guide, then you are in for a real treat. I have talked to some of the best Mtn Bikers in the world (think of who might be riding for a certain DH team based here) and they all agree that the trails are t!ts.